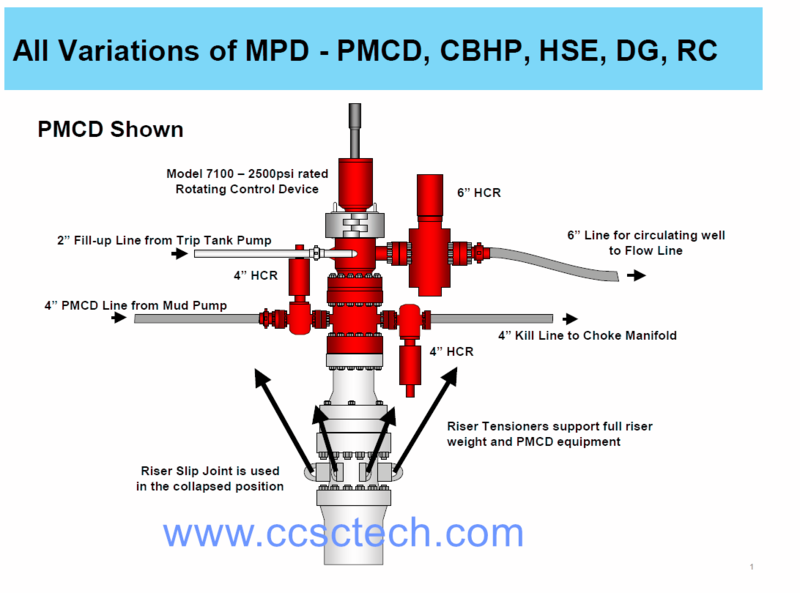 Rotating Control Device (RCD) is the most key important well control equipment which is often used on oilfield both onshore and offshore drilling environments during underbalanced drilling/UBD, managed pressure drilling/MPD methods, Pressurized mud-cap drilling (PMCD), Constant bottom hole pressure (CBHP), Returns flow control (RFC) and other drilling operation under pressure. Rotating Control Device (RCD) is usually installed on the top of annular blowout preventer (annular BOP) or ram blowout preventer (ram BOP). 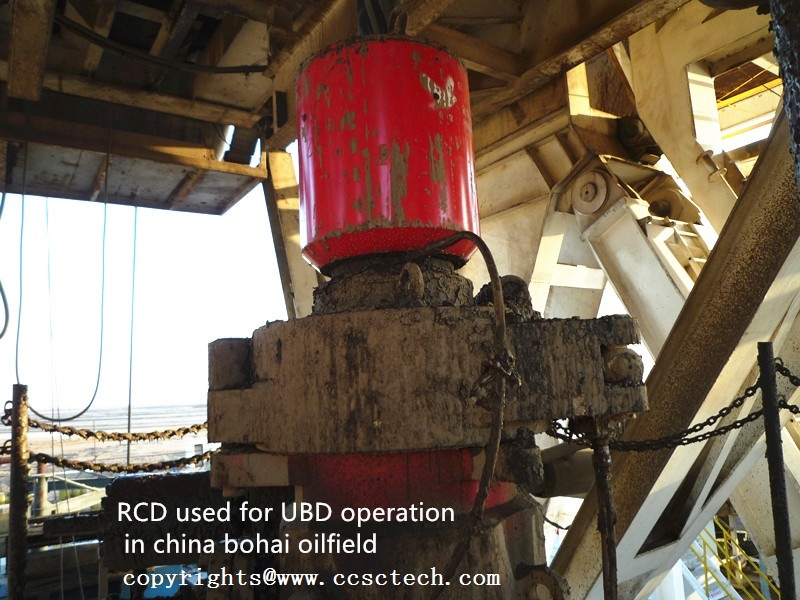 The main function of RCD is to seal around rotating drill pipe, tool joint and it can offer more safety in diverting well drilling fluid to the ground and Used to divert the return flow stream down the blooey line, flow line or to the choke manifold. 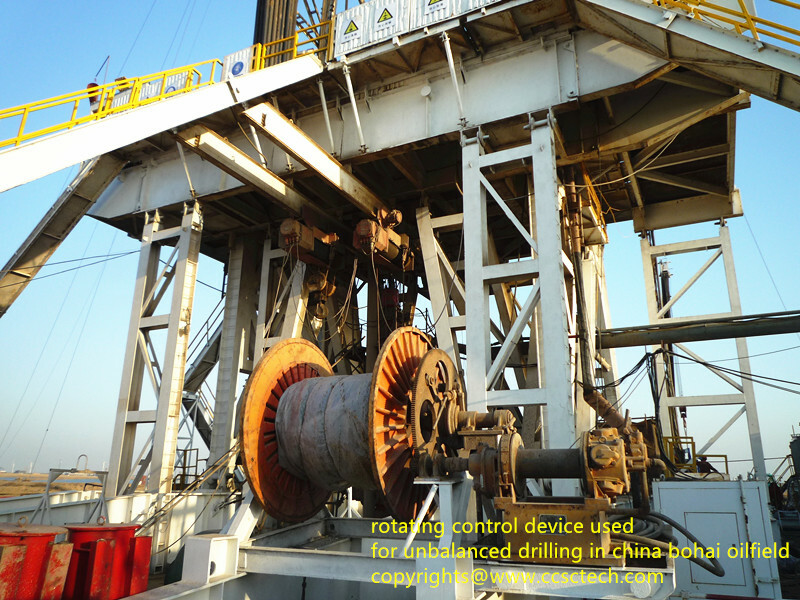 CCSC technology Rotating Control Device systems form a positive seal on the drill pipe or Kelly to safely divert the flow from the annulus away from the rig floor. The mainly work principle is that the RCD is driven by the square Kelly from the top of driving bushing assembly, then driving bushing assembly drive the rotating sleeve center pipe and rubber seal element ,they are Rotating together with the drilling pipe. The Rotating Control Device (RCD) is mainly consist of rotating assembly, body shell, hydraulic power unit control room, control line, hydraulic gate valve, etc..
CCSC Technology Rotating Control Device (RCD) is designed and manufactured in accordance with API 16-RCD.it is manufactured and improved from Weatherford safeshield, Williams, Schlumberger MI-SWACO,SHAFFER, HALLIBURTON etc. CCSC Technology &CCSC PETRO.is not an authorized agent or sales representative of Weatherford and Schlumberger, Halliburton.